See how digital care coordination makes access easy! MyHealthDirect's digital care coordination platform was built in partnership with some of the nation's largest healthcare organizations and is helping millions of consumers get timely access to care. Our intuitive technology guides consumers to the right care and enables real-time scheduling through any access channel: on the web, in call centers, and in provider offices. If you are interested in learning more about our digital care coordination platform, please fill out the form to the right and one of our business development directors will be happy to do a demo for you. "By using MyHealthDirect's online scheduling platform, we are continuing our goal to provide convenient and accessible healthcare for our more than 550,000 patients. 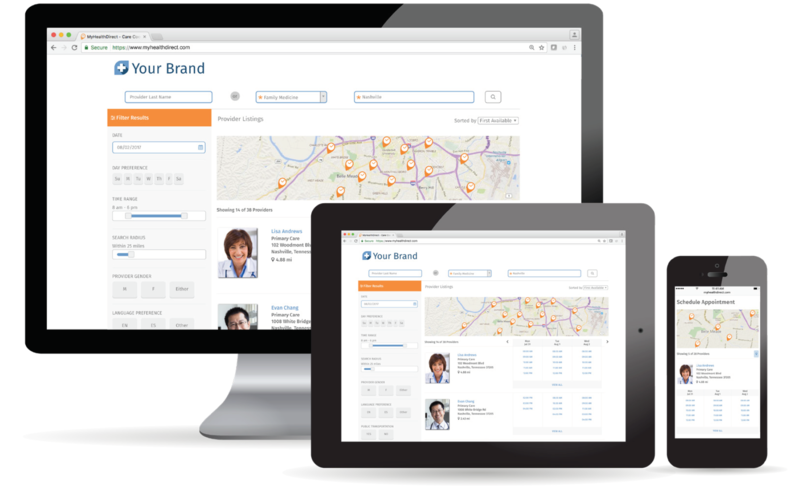 The guided search and scheduling solution adds immediate benefits to our patients. This platform supports our commitment to provide our patients with cutting edge technology in the convenience of their home."